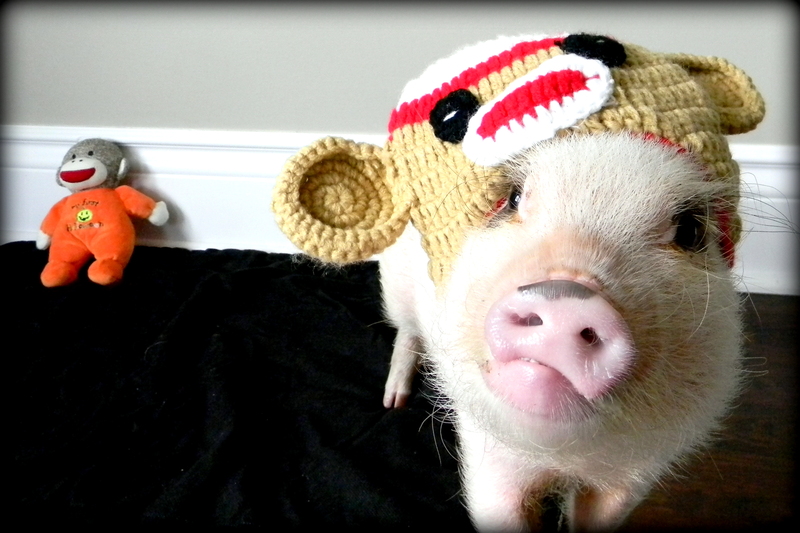 I spotted this sock monkey hat at the store the other day, and I couldn’t resist buying it for Oscar. 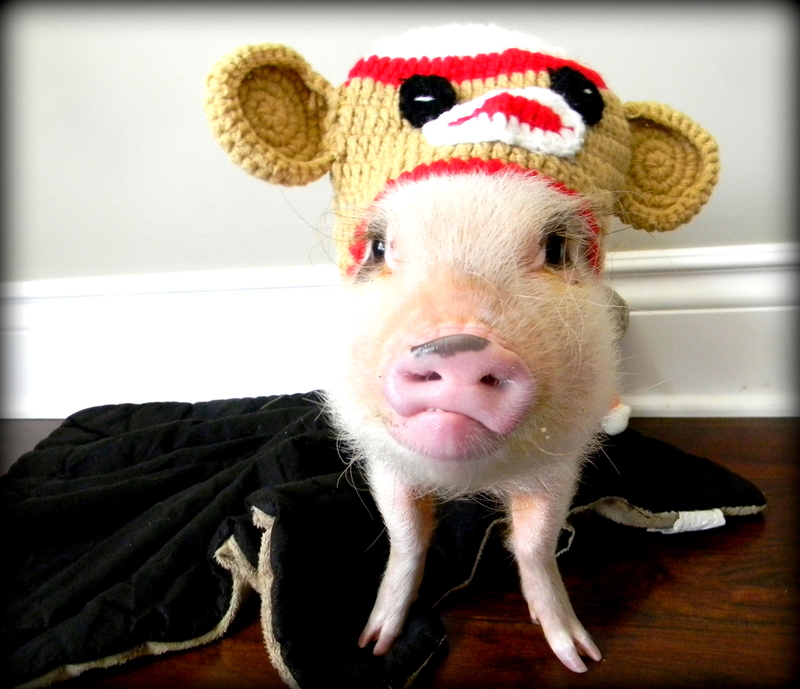 For me, there are few things in life cuter than a mini pig in a sock monkey hat. Oscar likes most of his hats, but he wasn’t a huge fan of this one. His head is large and oddly shaped, so he had trouble keeping the hat on. At least he got a few extra treats to make up for it! Here is Oscar looking adorable in his sock monkey hat.